Here Liverpool are again. Another summer, another scenario where clubs are circling around their best player. Paris Saint-Germain are heavily considering luring Philippe Coutinho to the French capital. And they will not be the only European powerhouse sniffing around the Brazilian, who netted a hat-trick in a 7-1 Copa America crushing of Haiti on Wednesday night. Neymar has been unequivocal about wanting his countryman at Barcelona, while Filipe Luís has stated ‘O Magico’ would be more than welcome at Atletico Madrid. More stellar showings at the 16-team tournament will invite more admirers. He is a stunningly gifted player capable of the simple, the sublime and mixing graft with guile. He only turns 24 next week, and is nowhere close to his ceiling. Coutinho’s best years are ahead of him, and Liverpool need to ensure most of those are spent on Merseyside. They are expected to bat away any approaches for the playmaker, and if the club are intent on being formidable in future, the Reds need to stick to the ‘not-for-sale’ stance at present. Over the past two summers, Liverpool have watched Luis Suarez, Steven Gerrard and Raheem Sterling walk away. The Uruguayan, unquestionably one of the world’s premier players, was always going to move on. And when he did, the Anfield side lost genuine, unrelenting quality. The former captain, past his playing peak but still in possession of the kind of authority the club requires, should have been convinced to stay. The Sterling saga was toxic, and Manchester City paid an English record fee for the attacker, but the Reds ceded an excellent player of only 20 at the time, who felt they couldn’t match his ambitions. Regardless of how he handled matters, that is a damning indictment. If the trend continues and Coutinho is allowed to make a switch this summer, when does the talent drain stop? Who will be next? Emre Can? Divock Origi if his exponential development continues? Liverpool’s squad has plenty of industry, but is lacking inspiration and to lose some of the current stardust would be criminal. Attacking players are already at a premium, with the Reds themselves acutely aware of how hard it is to land stellar creative sparks. Months of selling the club to Mario Gotze is currently at the stage where it is looks unlikely that he will opt to move to Anfield. Liverpool switched focus to Sadio Mane, and Southampton will play hardball over the Senegal international, who is set to command a £30 million fee. What then, is Coutinho worth? How do you put a price on progress? Because if the former Inter man departs, Liverpool are back at square one needing to replace their reigning two-time Player of the Season. Who would they target? And at what fee? 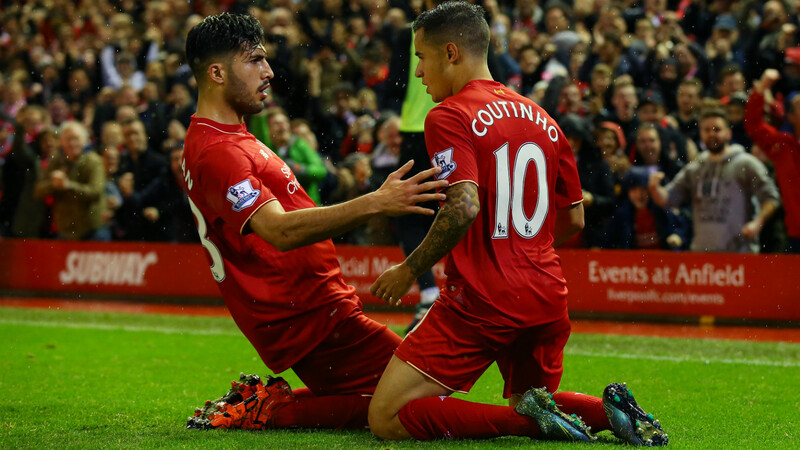 How long would it take a new buy to get to where Coutinho is – a reference point for the team? Since signing the Rio-born virtuoso on 30 January 2013 for just £8.5 million, whom have Liverpool recruited that has proved to be better? Can and Roberto Firmino are excellent purchases, but neither are at the stage yet where they can help galvanise the dressing room and routinely decide a game. 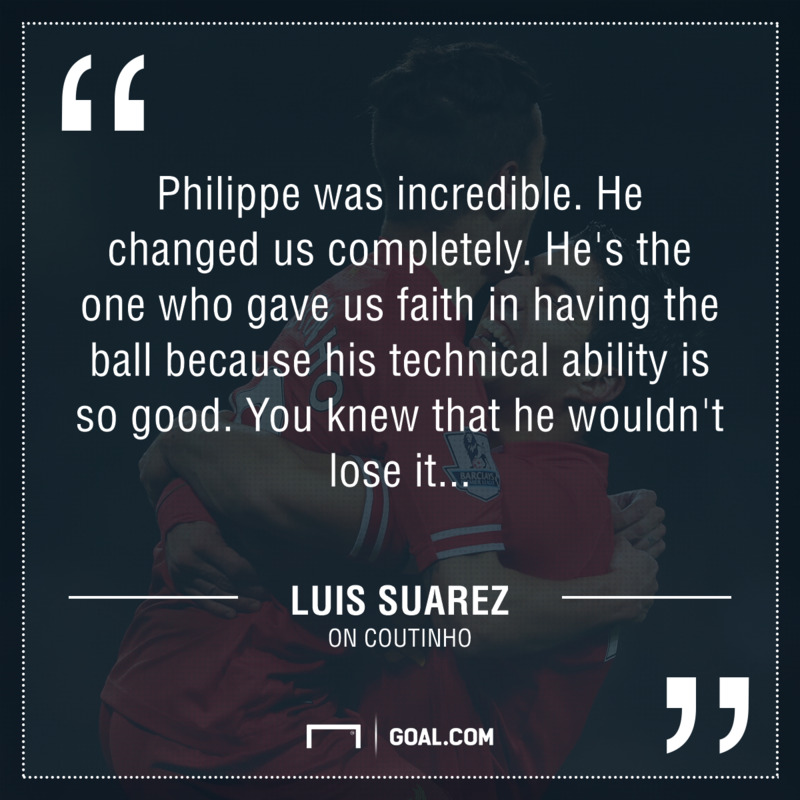 Suarez said it. Gerrard said it. And Liverpool must know it: Coutinho is the player to build this team around. He provided many of the standout moments of 2015-16, as he did in the campaign prior. 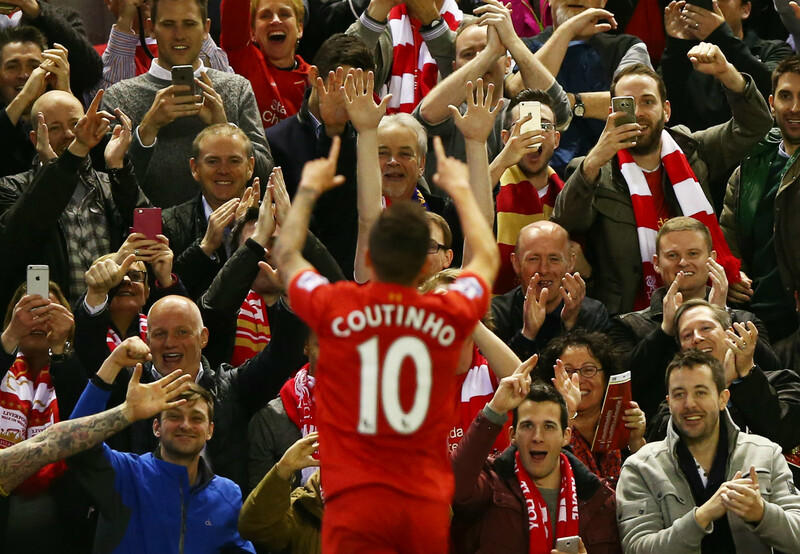 There are currently very few players at Anfield who entice and excite the crowd, he is atop that list. And he is only getting started. Just swinging into stride. The acquisition of Jurgen Klopp last October has been the greatest show of ambition Liverpool have managed in the last decade. They need to match that by standing firm over their premier players. The club are still recovering from the sales of the likes of Javier Mascherano and Xabi Alonso, they cannot continually add to the inventory of high-profile outgoings and expect to be a constant force. Liverpool need to thwart the trend. They need to line up with Coutinho next season. If the Reds want to land great players, they need to start by keeping the few they’ve currently got.